August 2018 has evaporated before my eyes. September has arrived like a child playing hide ‘n seek. The cooler temperatures are hiding and I am seeking relief from the heat. 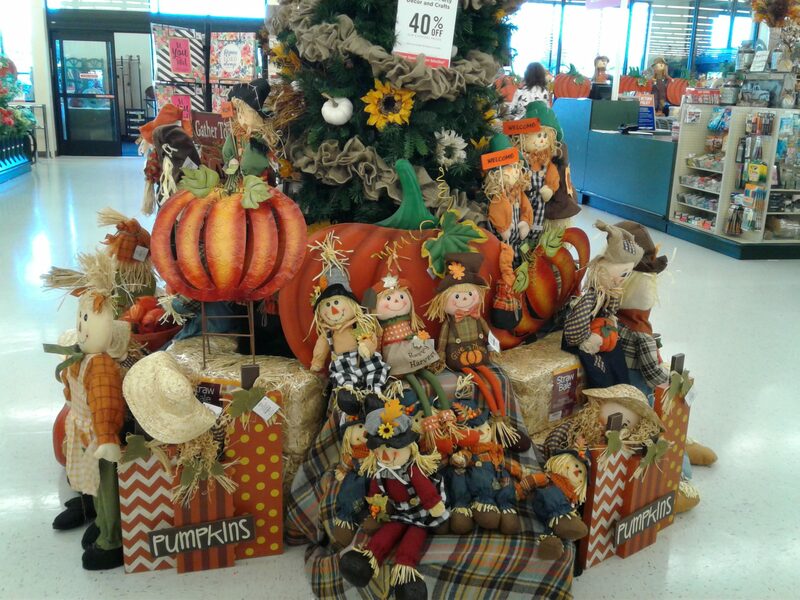 Seems everywhere I go there are reminders of the coming Fall season. Who knew there were so many ways to decorate with a pumpkin or flavor something with a pumpkin? 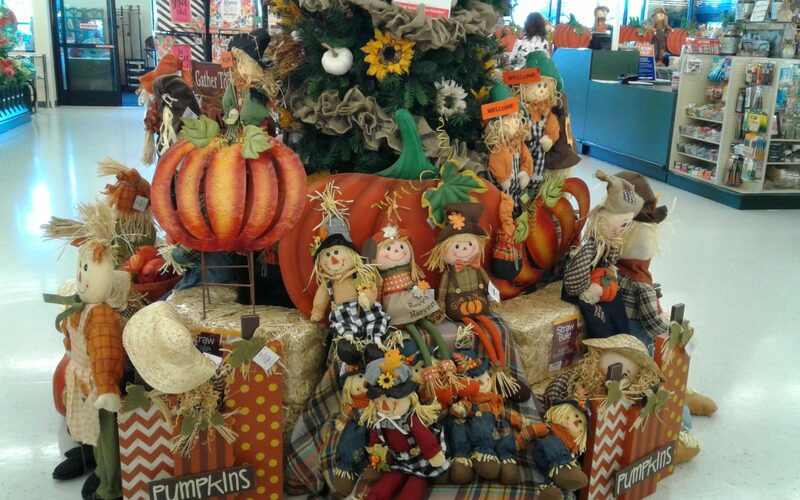 We may be headed for pumpkin overload. 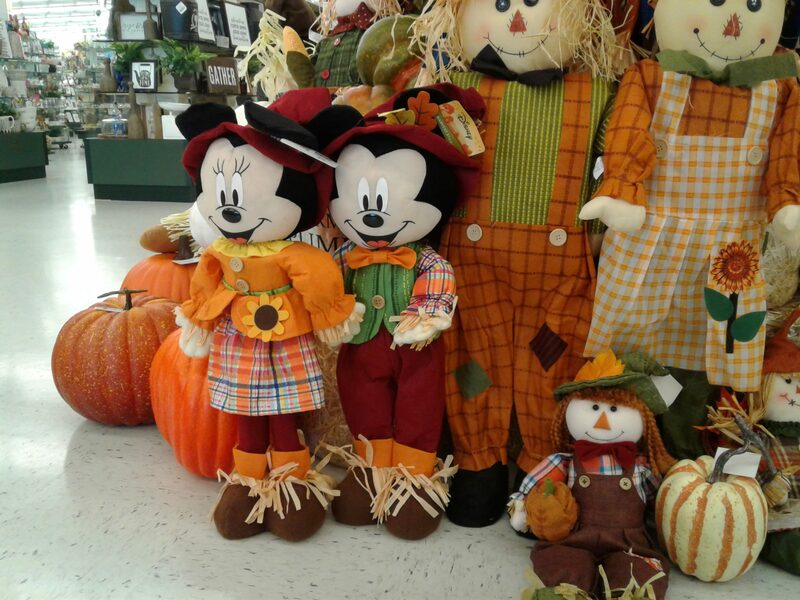 Mickey and Minne Mouse are ready for cooler weather too! 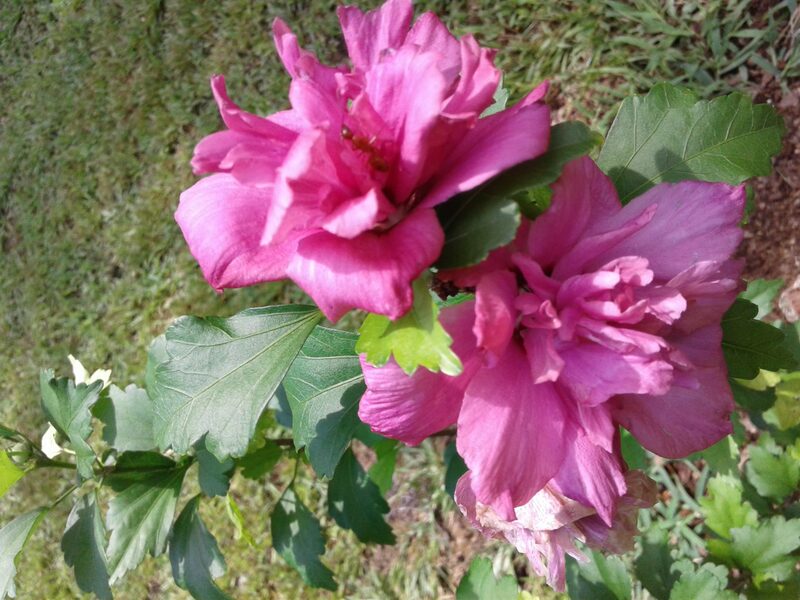 I got two or three blossoms and now it stands denuded of ninety percent of its greenery. Dern deer! Summer. Don’t ask me to identify it; I dug it up from the side of the road. 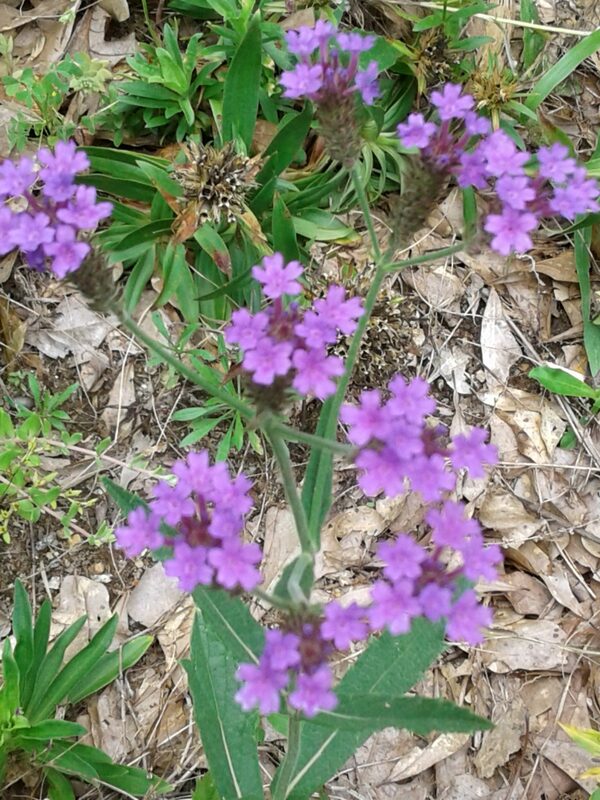 It has scratchy leaves and looks like it could be from the Verbena family. 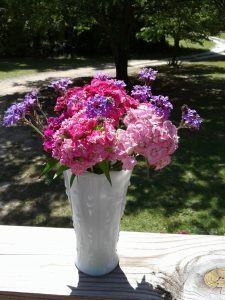 It did make a nice arrangement with the Sweet William earlier in the season. Does this photo look fuzzy to you? Maybe it’s my bifocals. 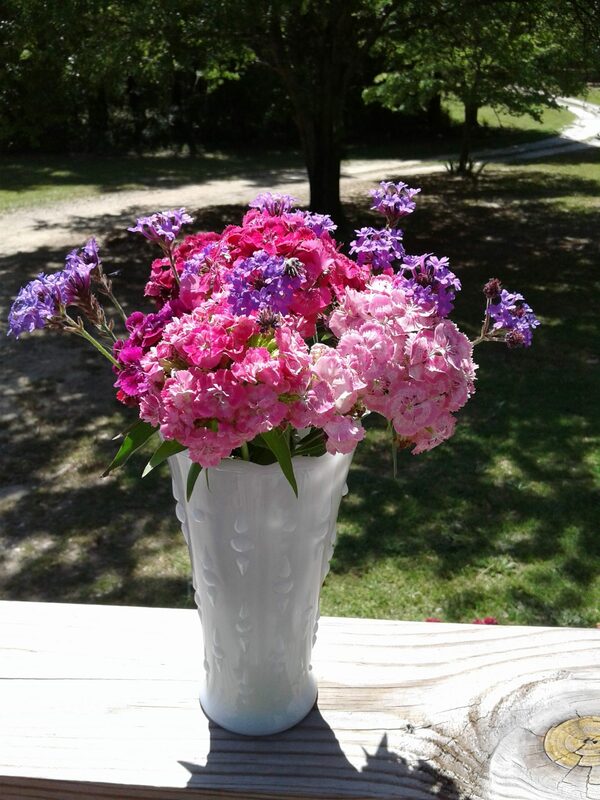 I do love a bouquet of Sweet William. This was the FIRST flower to grace our table when we got married in 1979. Some wonderful folks at church www.fifbc.org came and cut up the fallen oak. First Baptist in Fountain Inn, SC has been a blessing to us! ~ As to the massive oak: in my estimation, six loads of firewood have been carried away and yet, more remains. As of this writing there is a section that measures thirty-three feet from the cut end to the root ball. Lots of clean-up awaits. Lots of twigs and leaves to burn. Our youngest son came over and did some heavy limb-dragging to move the clean-up much farther ahead. 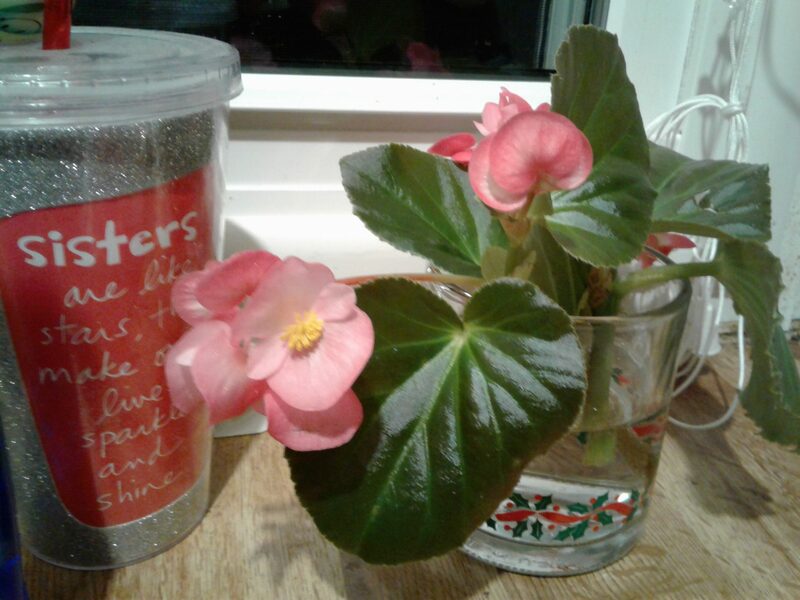 I’ve snipped a couple of stubby pieces of Begonia. Leaving them standing in water will allow them to grow some roots. This tiny “project” will also provide a bright spot on my kitchen counter when the cold weather arrives and nothing is blooming outside. I need to consult my Iris expert. 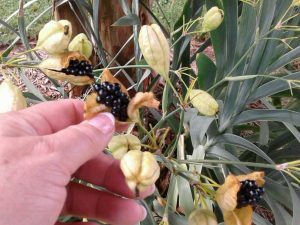 This was the first I’d seen Iris just loaded with seeds. And yes, a few of them followed me home. 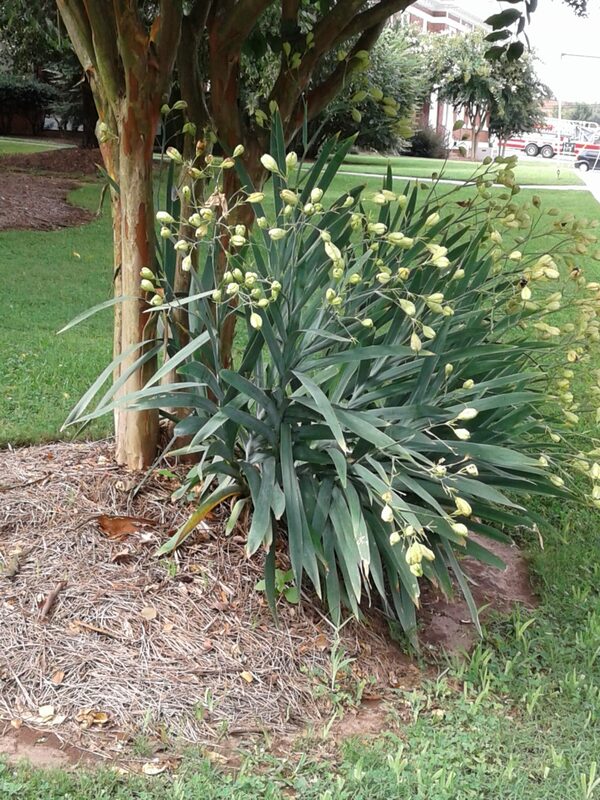 Since the entire planting had literally “gone to seed” I’m clueless as to the color. Next year, I’ll have to remember to visit this spot (it wasn’t my yard) and take a picture. 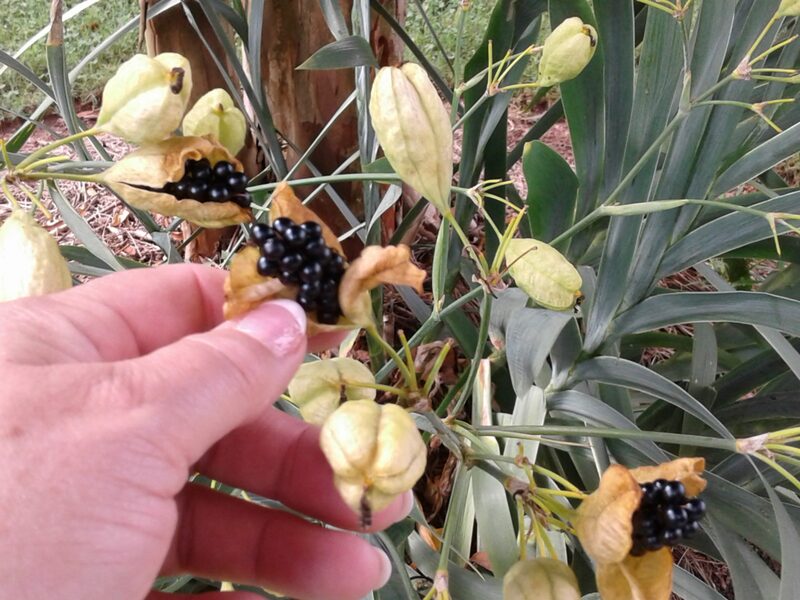 This looks like a ripe blackberry, don’t you think? I do love a visit to Hobby Lobby! I’d insert their link here if I could figure out how. Until next time….I’ll be rambling on.